A mysterious assassin. His real name is unknown, but he is refered to as "Greed", meaning avaricious. Greed is part of a mysterious and secretive organization of thieves that works in the shadows. Many of his personal details remain a mystery, even his real name as he is always referred to simply as "Greed." Being a thief, he stalks his prey from the shadows and takes their goods and money from them. He seems to take satisfaction in the act of killing, stalking his victims and depriving them of their lives as well as any valuables they should happen to be carrying, especially money. He is referred to as "Number Four" within his organization and views his colleague Miser as a rival. 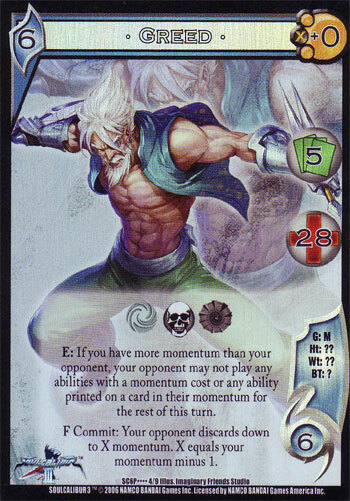 His group opposes Yoshimitsu's Manjitou. 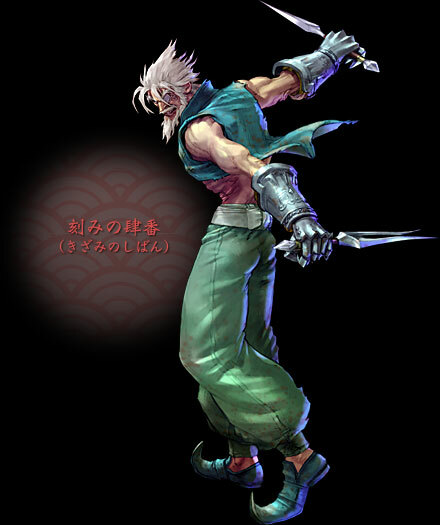 I think they could have made a better design to represent the new "ninja" style in SC3... even though that fighting style paled in comparison to Taki's. 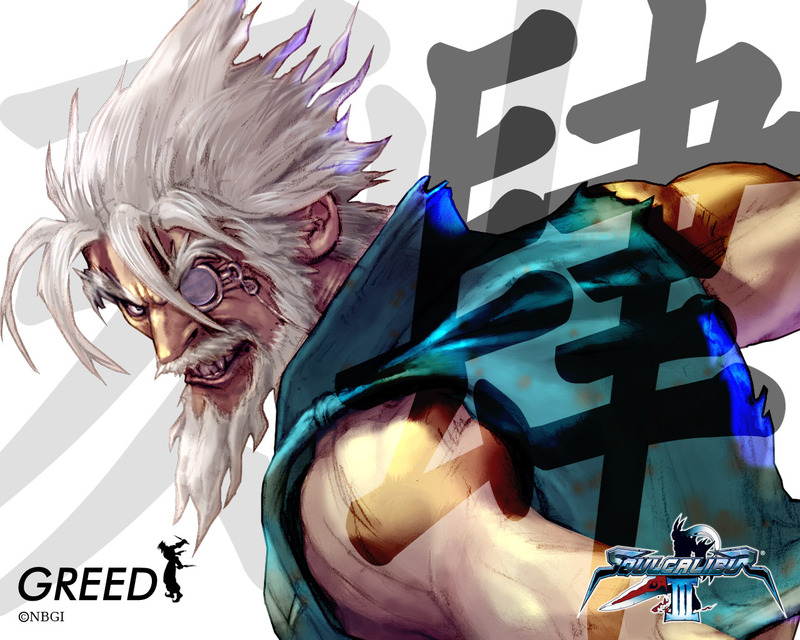 As far as looks go, Greed just looks like a homeless guy to me (but I suppose that makes sense in his story?). 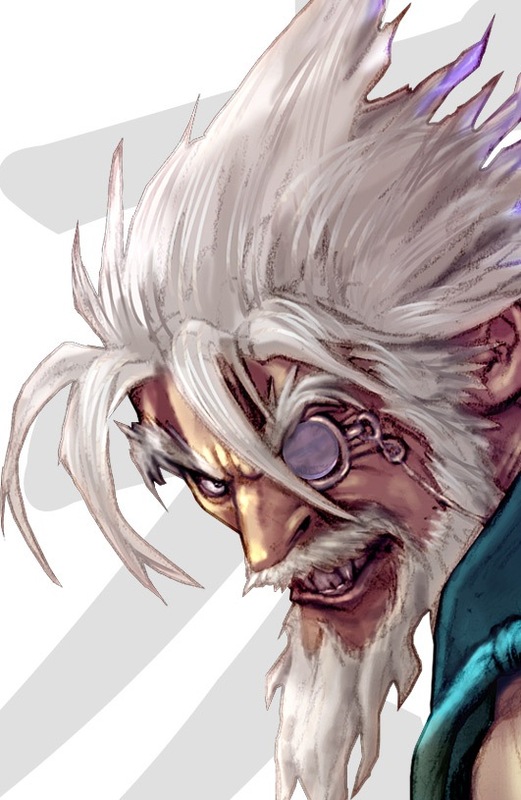 Either way, Namco could have developed him further if they wanted to... but I doubt he'll ever be anything more than a bonus character in SC3.